We are almost two whole weeks into the New Year and I’d like to say a special welcome to all the new members who’ve subscribed in the last few weeks. I’m guessing many of you received a Zentangle® book as a Christmas gift, and now you’re hooked? Also, I’m participating in Strathmore’s Online Workshops on visual journals and tangle patterns are so great for embellishing journals and scrapbooks that I suggested participants drop in here. So, a big welcome to all you folks too. No matter what brought you to TanglePatterns.com, I love having you here and welcome to the gang. Bandwidth consumed by everyone visiting and looking around has grown astronomically as this chart illustrates in GIGABYTES. So once again, welcome to the rapidly growing Tangle Patterns community. Please feel free to share your thoughts and tips on any page so others can learn through our shared experience. And be sure to sign up for your own Gravatar (here’s how) so we can all “meet” each other in the comments, and elsewhere on the internet. Onwards and upwards for 2011! Congratulations to such an enormous increase of visitors! Your site is awesome and reaaally inspiring! Go on!! I tried to connect with the Strathmore site, but it states I need to be invited. Suggestion? I am interested in what that means to be Online Workshop. Thanks for the heads up, Elise! Congratulations! 2011 will be ‘flowing’better with tangling!!!!! Congratulations. I hope I’m a part of that. I made a point of posting a link to you guys when I did a 30 day challenge. This site rocks. Linda this is a fabulous site.. and I’ll bet you’re right about all the folks that got Zentangle books this Christmas.. our household being one! My partner and I were out in Worcester MA visiting in November and a new friend showed us her Totally Tangled book and some of the zentangles she’d created.. we were instantly hooked and bought a copy of the book as our Christmas gift to share. We then bought the Zentangle kit as well, and some extra pens and a journal. I’ve been so fascinated looking at all the tangles that last night I even designed two of my own, based on some mayan art, that I’m going to have to try out. Thanks for all your hard work in creating this site.. great job! Welcome Sadelle, I look forward to seeing your tangle patterns and your Zentangles. And my ego thanks you for the kudos. Thanks for the lovely compliment Carole. I am proud of how TanglePatterns has grown and pleased to be part of spreading the love. I found this in the “You Might Also Like” section at the bottom of the latest Tangle Refresher page. Do you think you can do this again and let us know how things have changed over the years? This is such a great site! It keeps me going these days. Thanks so much Linda! I’ve been a visitor since 2013 and have always thought I would work my way through the alphabet to learn more and more patterns, but lately I’ve realized that ain’t never gonna happen! I got as far as the middle of the C’s, but these days I’m more apt to look for tangles by type – especially linear as I seem to use those a lot. I do have one question, or maybe it’s a suggestion: I’ve always wondered why the articles don’t have publishing dates on them. Mostly I notice this when your articles mention an upcoming holiday or season, and I always wonder gee, is she talking about this year, or was this from years ago? I love your anecdotes about different holidays around the world, and it’s fun to learn what tanglers on the other side of Earth are up to! I was scheduled for CZT 20, which starts today (6/21/15), but had to cancel due to health problems. I’m so bummed!! But hopefully it’ll happen next year, because teaching Zentangle is going to be my retirement focus. 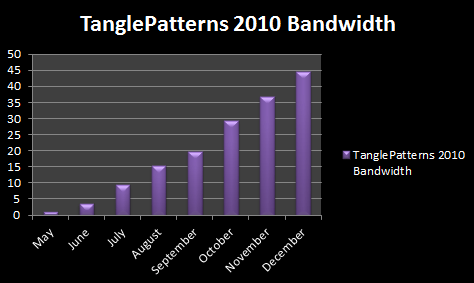 I’m really looking forward to it and tanglepatterns.com will definitely be on my list of resources for my students. So… Thanks for all your hard work and dedication! Hi Jen, thanks and it’s always nice to hear that all those anecdotes are fun to someone besides me 😉 As far as the publication dates, they have always been at the bottom of every post. It’s located at the end where the post’s tags are also displayed, look for the gray bar just above where the comments begin. So sorry you weren’t able to make it to CZT 20, and my very best wishes for your improving health so you can make it there in 2016. Something else to look forward to!